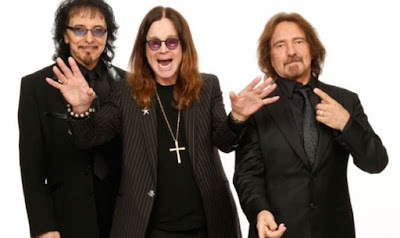 MetalRockNews: Black Sabbath's Geezer Butler: "I used to be a cutter"
Black Sabbath's Geezer Butler: "I used to be a cutter"
Black Sabbath bassist Geezer Butler was recently interviewed by Classic Rock, you can read an excerpt below. He reveals he used to be a cutter. He said: "I used to be a cutter. I’d cut my arms, stick pins in my fingers, that kind of thing. I used to get really depressed and it was the only thing that could bring me out from it. If Sabbath hadn’t made it, I’d have been long dead. I’d have killed myself."